An important point is to season the shrimp beforehand! Peel the shell from the shrimp and pickle them with the marinade for 15 minutes. Cut the satsume age in to an easy to eat size. 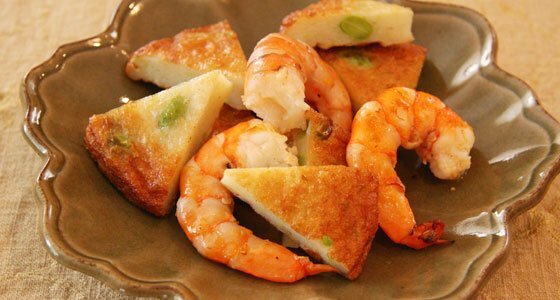 Use sesame oil to fry the pickled shrimp in a frying pan. Lightly flavor them with salt and pepper. Add satsuma age to the mixture and fry a little bit more.